The German writer Thomas Melle is inviting you to a lecture on instability. But does the invitation really come from Melle? Melle himself will not actually be present. 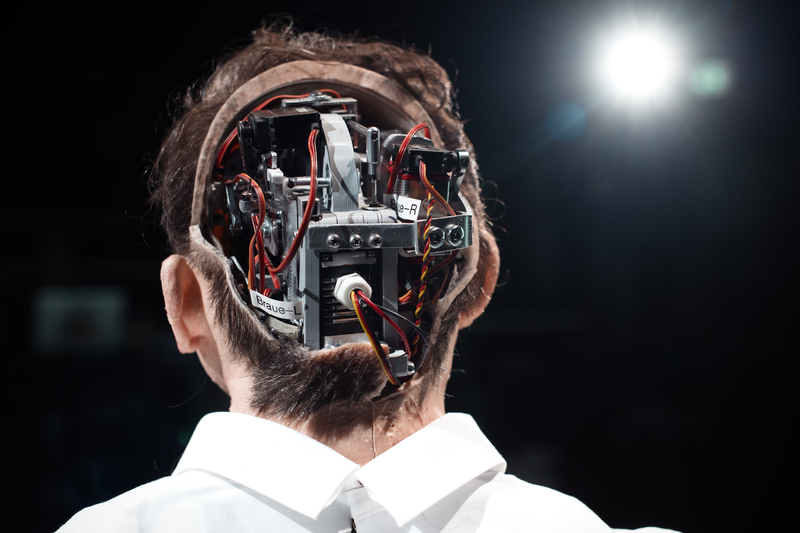 For Uncanny Valley, Stefan Kaegi from the influential German theatre company Rimini Protokoll (Brandstichter 2017 at International Theater Amsterdam) has made a copy of Thomas Melle in the form of a humanoid robot. The robot is the sole performer in Uncanny Valley. 'Uncanny valley' is a term used to describe the feeling machines cause in people when they are too similar to human beings. The robot (or Melle? Or Kaegi?) is delving into this uncanny valley to ask what happens when a person is copied? What does it mean for the original? Does he get to know himself better through his electronic double? Do the copy and his original compete with each other, or do they help each other?